We are pleased to announce that on 13th April 2016 planning consent was granted by the Local Planning Authority for extension works to be carried out at Cygnet Hospital Harrow. The project will provide a net gain of 16 new beds across the Harrow site. The work will see the refurbishment of the whole of the existing administration block to provide a new ten bed service . 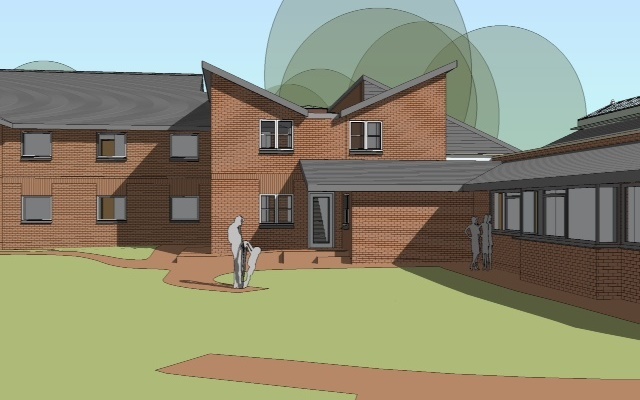 In addition there will be new-build extensions to improve capacity and the service user environment on some of the existing services, together with significantly improved therapy and activity space for service users, and office space for staff. The project has been developed as a direct result of Cygnet’s purchase of the freehold of the Harrow site in early 2015. Not only will the project improve the quality of the overall facility and add much-needed bed capacity, it will include the completion of major outstanding maintenance. The building work will be carried out in a carefully phased series of works in order to ensure that the patient areas can be kept safely separated from construction activities. Building work is expected to commence on site by the end of July 2016 after an appropriate tender process has been completed. The works are expected to take ten months.